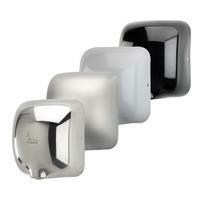 If you are looking to reduce fuel costs on your University campus, our university hand dryers are the perfect option. Alongside costing less than 0.02p per use, they are powerful and eco-friendly too. Each unit demands better performance and consumes less energy which has resulted in us being accredited by the renowned Carbon Trust. Also, they prevent germs and bacteria from spreading. Our units have been installed in Universities such as the University of Chester and The Royal Academy Of Music. We have different ranges available that can be suitable for your different requirements in the University such as high speed hand dryers and quiet hand dryers.